They're the best lawyers in Hell's Kitchen! 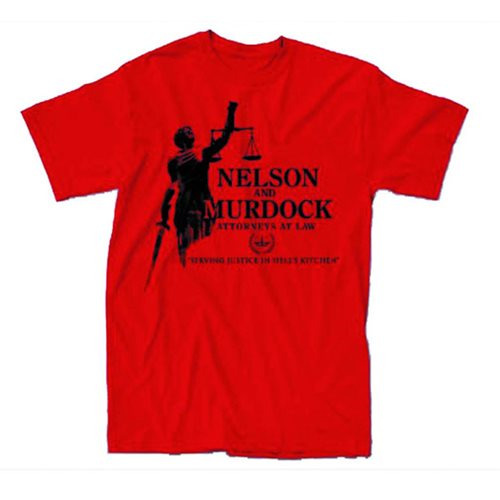 This Previews Exclusive Daredevil Nelson and Murdock T-Shirt features an image of Lady Justice, holding balance scales and a sword. When you're in a bind, you can always count on Foggy and Matt to help out with your troubles!